Heating turned on / up - if you are coming to stay or have friends who will be visiting and your property has been vacant for a while, it would be preferable if the heating is turned on a day or two in advance to ensure a nice warm reception on arrival. 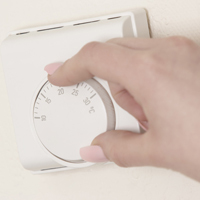 Even if you do not require any other changeover services, we can take care of ensuring the heating is turned on before arrival and turned off after departure. Cost of service - CHF 15 per stay for key holding clients and complimentary if you are a Key Holder Plus client. Cost of service - CHF 75 per year for key holding clients and complimentary if you are a Key Holder Plus client.